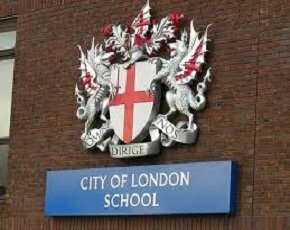 The City of London School is embracing bring your own device (BYOD) and has put the network in to get staff, pupils and visitors connected. The independent boys school in the heart of the square mile has around 900 children between the ages of 10 and 18 and 200 staff, both teachers and administrators. However, it also opens its doors for private events so wanted to offer the facility of a secure wireless network to guests at its venues. Joe Matthews, assistant IT manager of City of London School, joined the team back in 2004 when the technology on offer was very limited. In the days of the laptop trolley, there was a wireless network but performance was poor. Matthews and his colleagues wanted to modernise the wireless network but decided to focus on the sixth form pupils first to test out what they could do. They installed some Ruckus wireless access points but Matthews was unimpressed, both with the new wireless installation and his department’s own lacking network. The next stage was to try and bring connectivity to staff, but with better performance. Most are based on the fifth level of the school alongside science labs, giving the opportunity to see not just how it could help teachers but also compliment children’s learning. This time Matthews went to Xirrus for the wireless technology needed and installed seven access points across the level. Soon he found performance was much improved. However, having a well performing network raised other issues the IT department had yet to consider on its clunky predecessor. This led the team to look at network access control or NAC, bringing technology into the network to offer more than just the ability to connect. The NAC capabilities gave Matthews a lot more control of the network, how users logged on and what they did when they got there. The school now has 67 Xirrus access points covering 99.9% of the buildings and providing access to all of its staff and sixth formers.